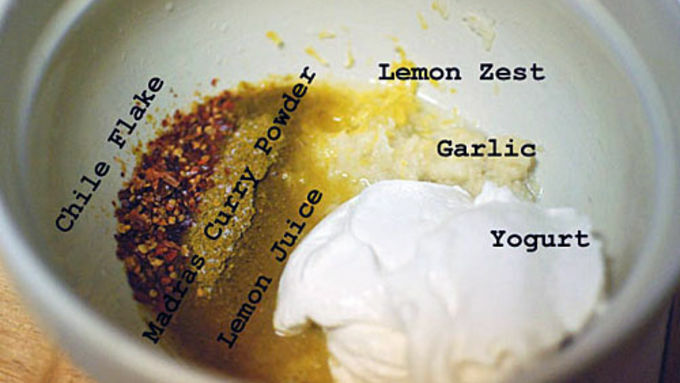 Make marinade: Mix 1 1/2 cups yogurt with chile flake, curry powder, juice of 1 lemon, zest of one lemon, salt and pepper. Poke chicken with a fork to help marinade fully flavor the chicken. Mix the chicken in to the marinade and let sit at least an hour, up to 12 hours. 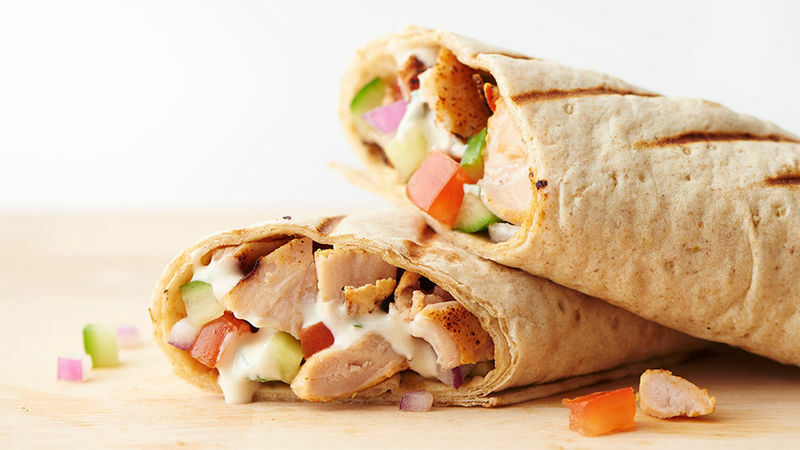 Make shawarma sauce: Mix juice of 3 lemons, tahaini, and 1/2 cup of the yogurt. Mix in some chopped parsley. 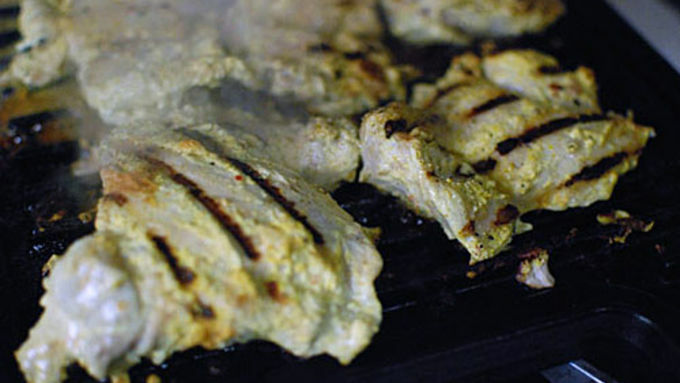 Grill Chicken: Cook on a grill at medium heat until charred and fully cooked. 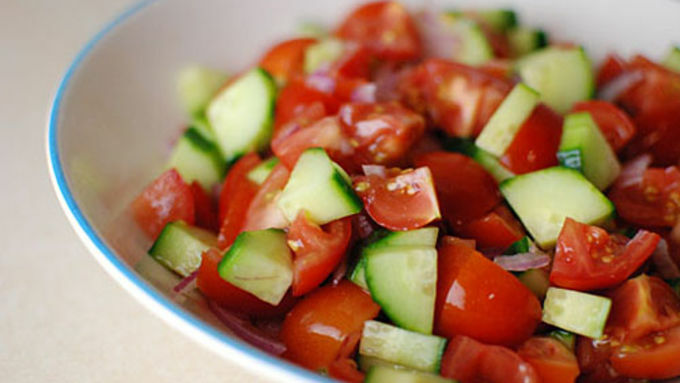 Make Salad: Chop tomatoes, slice onions, chop cucumbers, season with salt and vinegar. 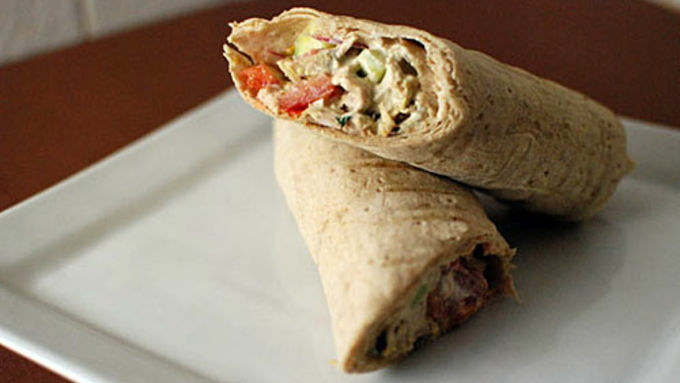 Build wraps: Fill with chicken, sauce, and salad. Grill for a few minutes on each side. If you have never had Middle Eastern food before, it can be intimidating trying to figure out what you want. Lamb Tajines…baba ganoush…it all sounds so unfamiliar. Throw some crazy music and belly dancers into the mix, and forget about it! Chicken Shawarma was my first experience with Middle Eastern food. It somehow seemed familiar, so it was an easy choice. True shawarma, just like its Greek cousin gyro, is roasted on a slowly rotating spit. The cook cuts off strips from the outside as they brown. This version uses grilled chicken that is marinated in a tasty sauce. It’s fun to lay out all the fillings and let people choose their own. I like to lightly grill the finished roll ups. Tasty! The sauce is fresh from the lemon, yet bitter and earthy from the tahini. The grilled chicken is nicely spiced and tender from the lemon and yogurt in the marinade. Enjoy!